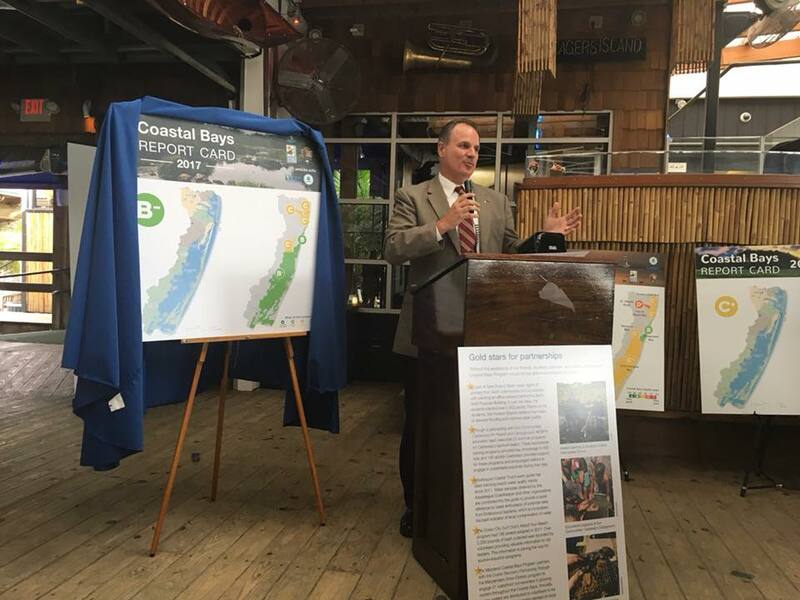 The Maryland Coastal Bays Program recently unveiled the 2017 Coastal Bays Report Card, a snapshot assessment on the health and resiliency of the coastal bays surrounding Ocean City and Assateague Island. The bays’ collective health received a “B-,” its highest grade ever reported! Nutrient reductions have shown a positive trend in many locations since 1999. Maryland’s Coastal Bays are a unique ecological treasure in the landscape of the Eastern Shore. They make up one of the richest, most diverse estuaries on the East Coast. For more than a century, agriculture, fishing, forestry, hunting – and more recently – tourism have sustained ways of life built on the land and water resources in this coastal community. The ongoing effort to preserve and protect our five coastal bays and the St. Martin River is showing signs of success thanks to our engaged communities and partners. The marked improvement we see in the coastal bay’s health, just as we are witnessing in Chesapeake Bay, is the result of the combined work and dedicated stewardship of many Marylanders. In July we reported the 2017 Chesapeake Bay Report Card issued by our partners at University of Maryland Center for Environmental Science, which used data from the department and our counterparts in Virginia. While the overall grade of “C” has remained steady since 2012, this marks the first year that experts have seen what they call a “statistically significant” positive trend for the entire bay. We must continue investing in sound science and measurable management to build on these historic benchmarks. Sometimes that means changing course when needed, such as our recent decision to recommend the Manokin River in Somerset County as the fifth and final tributary for large-scale oyster restoration as per Maryland’s commitment to the Chesapeake Bay Watershed Agreement. This recommendation follows the surveying of Breton Bay in St. Mary’s County – the department’s initial restoration recommendation in December 2017. The department had to shift its focus to another tributary that provides the best possible chance for large-scale success. Maryland is a national leader in our efforts to improve and monitor water quality because we are constantly learning and adapting. We listen to and learn from our stakeholders, our partners, our scientific staff and most of all…from experience.